Once your kids start playing, they will stay engaged for hours! Kids will feel delighted and entertained. What can your child do in this app? 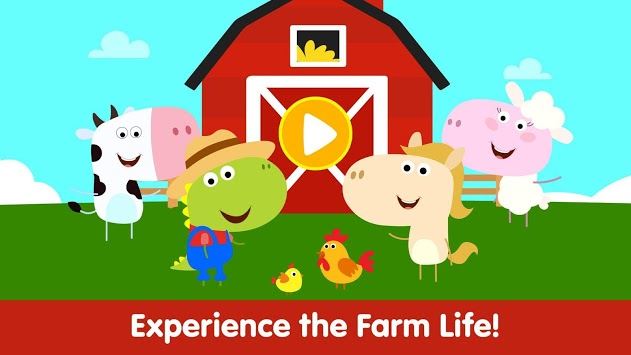 ⭐Play with farm animals of your choice. There are cows, pigs, chickens, horses, goats and sheep! ⭐Explore the huge farm area filled with various objects. ⭐Super cute and adorable characters to play with! ⭐Pick veggies and collect them in baskets. ⭐Feed yummy food to all the animals. This is not just another farming game, it’s a role-play adventure! Kids can create their own story as they play and enjoy. What will kids learn from this Farm Game? 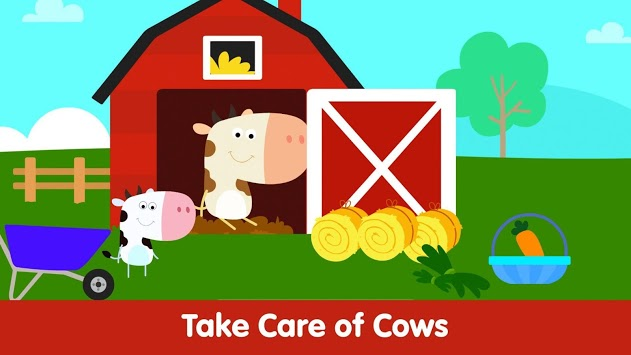 ✔️ Includes cute, funny, cheerful and friendly farm animals. 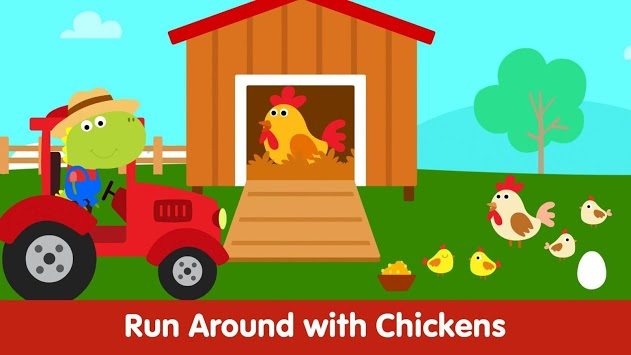 So get ready to play pretend in your very own Farm in these Baby Farm Games. Download the app right away! If you enjoy this app, don't forget to give a 5 star rating and review us!